Greetings! It’s me, Jalopnik’s cromulent (is that even a real word? I guess I’ll never find out now) lawyer. 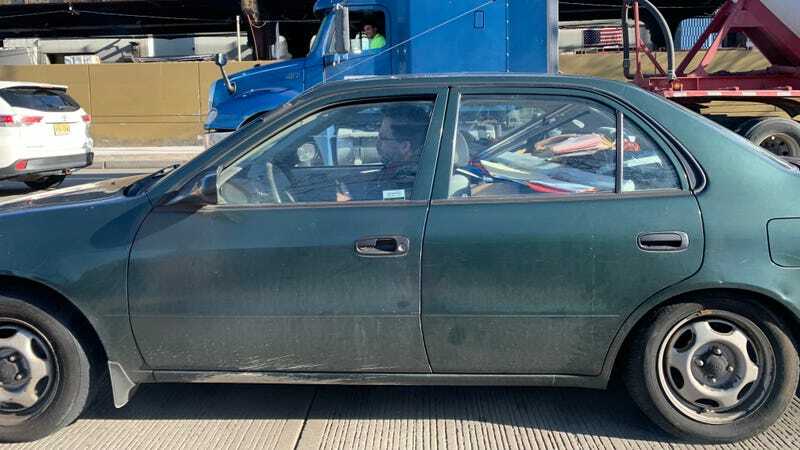 I recently passed this car on the road, filled to the brim with all manner of stuff (boxes, papers, books, maybe even old candy) and it reminded me that my office looks a lot like this and that I really need to start watching that Netflix series about Marie Kondoing and throwing out all your stuff. It’s hard to get rid of stuff and let go of things, whether or not they spark joy and particularly hard when they spark joy. On that note, I write to let you know that I am leaving Jalopnik and Gizmodo this week. Working with the amazing Jalopnik team has been a sincere pleasure (they are the nicest folks, with so many interesting pieces, they tried to teach me to drive stick, they taught me that your car actually tells you what side the gas tank is on…) and writing these pieces has been so entertaining to me. It will be very hard to leave Jalopnik, but at least I’ll have the fondest memories. Goodbye and thank you for reading my columns!